You can find plenty of lovely images online that that show the magnificence and majesty of the main state rooms, open to the public. 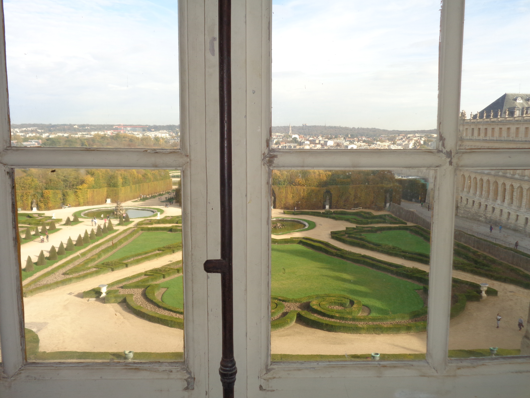 In 2014 I took a "backstage" tour of Versailles and will share photos from that. I visited Madame de Pompadour's apartments (which were originally Marie Anne's), the apartments of the Comtesse du Barry and the apartments of the Dauphin and Dauphine. 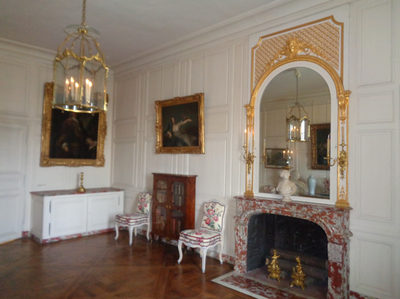 These latter are as grand as some of the public rooms at Versailles, but they were special because they were empty of people and most furniture, but the walls were still hung with magnificent portraits. The backstage tour cost a great deal of money, but was completely worth it! It gave a sense of the "real" Versailles, the one that most of its inhabitants would be familiar with. 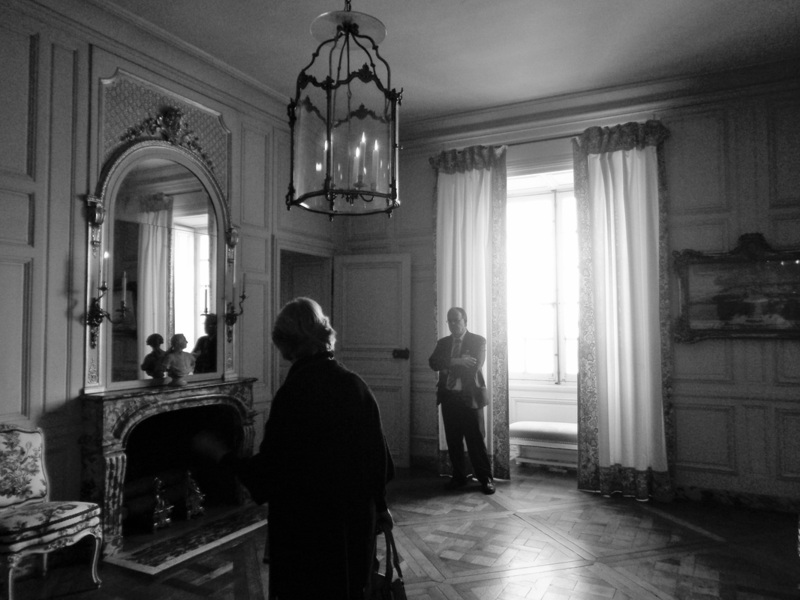 My favorite part was seeing the little rooms tucked into eaves and garrets and the half-height ceilings that gave a sense of the jumble that the palace became as rooms were divided and cut in half (height-wise) and staircases built and torn down. Known today as the Apartments of the Marquise de Pompadour. 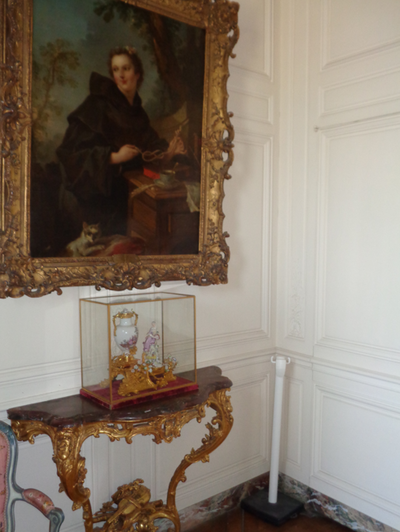 I'm not going to share all my photos from this visit here; I'll save some for The Rivals of Versailles, Pompadour's book. But here you can see the hall outside - we're on the fourth floor now, note the tiled floors and rather low ceilings. Then one of the main rooms (Marie Anne's portrait is on the wall - gosh I wish I was a better photographer!) and also in black & white with a view of the windows. 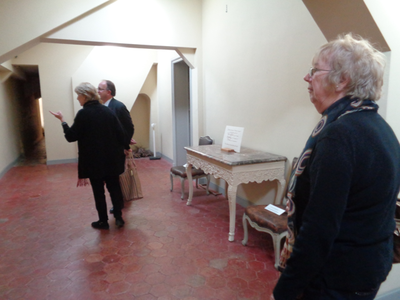 The views out over the gardens and two pics of a smaller room - I think that may be Charolais in one of her monk's costumes on the wall! 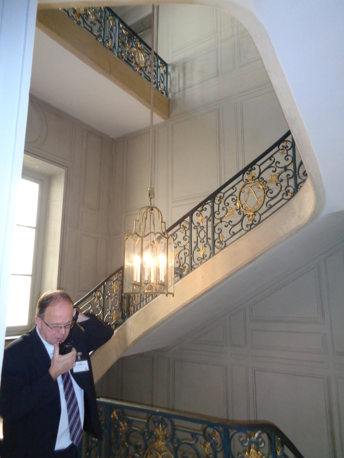 And finally the staircase leading to the 4th floor. 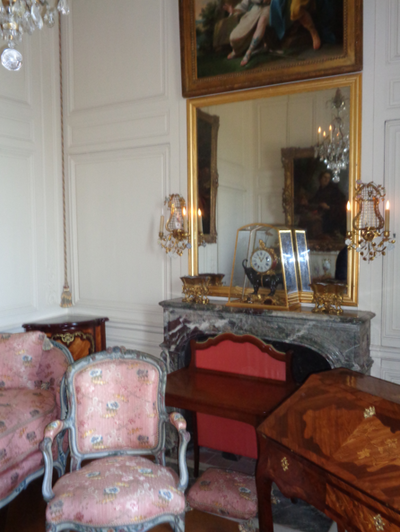 While it's true that Louise was never given a magnificent apartment by the King, she did have a number of smaller apartments around the palace that she and her family and retainers used - at the time of Marie Anne's ascendancy, one source estimated she had 5 apartments! 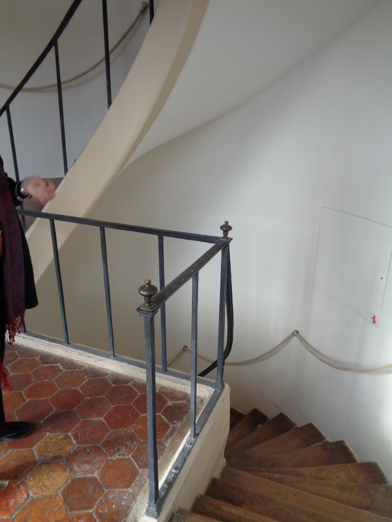 Where the man is standing in the staircase photo is the entrance to the King's Apartments - apparently one of Louise's rooms was on the next floor but demolished later to make room for this staircase. An adjoining room remains - the following photographs. The room has low ceilings and is painted a rather dull beige and was sort of like I had imagined Louise's apartment - a bit small, a bit mean, a bit shabby. 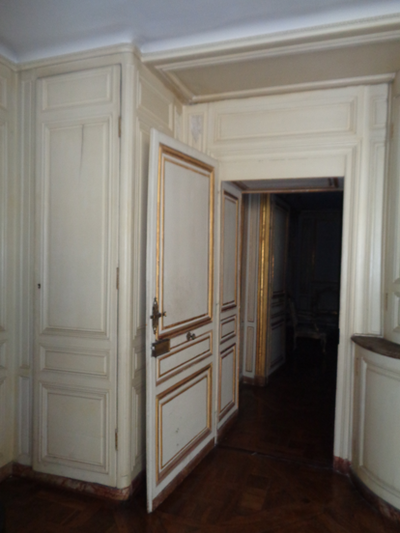 The door in the third photograph leads to a small bedroom. 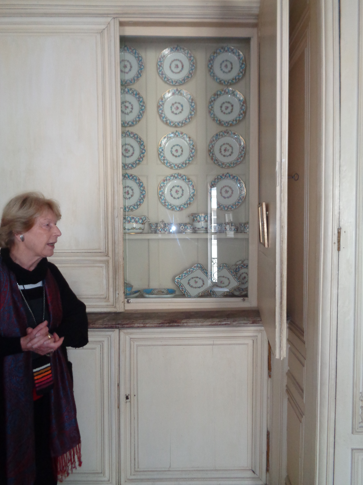 And there was a cupboard full of crockery, exactly where she would have stored her china for her suppers with the King! My favorite part of the tour! 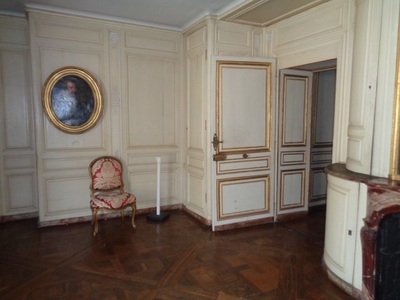 Note the tiled floors, the narrow passages, a sleeping cubbyhole for a servant, a small half-height room with an alcove bed that would still have been a desirable room!